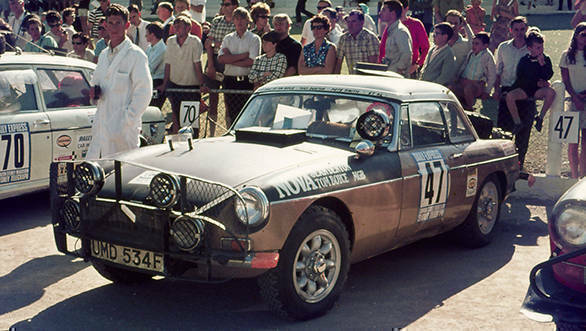 This MGB took part in the 1968 London to Sydney Marathon and finished in 42nd place overall. 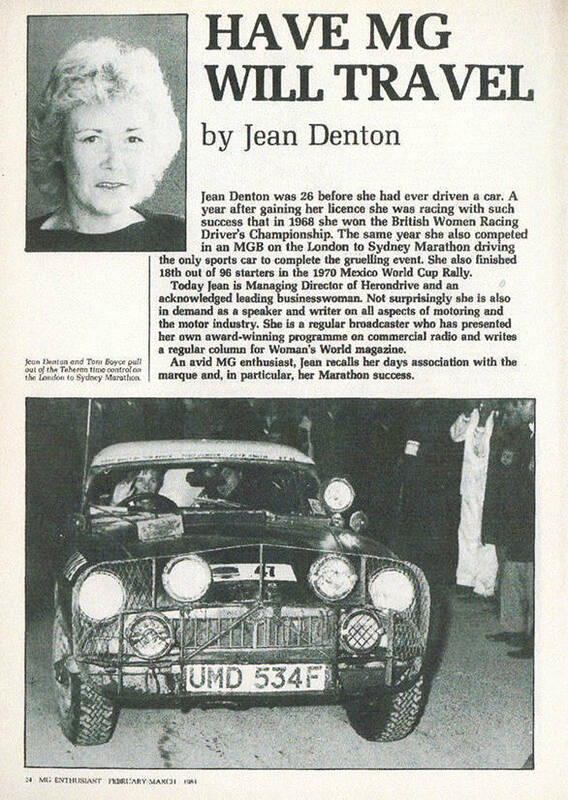 It was driven by Jean Denton, who was well-known for her rallying exploits. Later she enjoyed success as a business woman and as a government minister, becoming Baroness Denton in 1991. The car was prepared by her husband Tony Denton and her co-driver Tom Boyce, whose preparation work included double-welded seams, uprated headlamps and a double fuel tank that filled the boot. The passenger seat was modified to recline into a bed, which could be converted back into a seat for use during the day, while a selection of spares was stowed beneath it. Jean Denton and Tom shared the driving and though she hogged all the limelight, it was Tom's expertise that kept them going. Apparently in places like Afghanistan, Pakistan and India, Jean got a lot of compliments for competing and keeping up with the men. She reached the Bombay control having accumulated 319 points. But it was not her performance that was bothering her, but a painful tooth. It seems that she met an Indian businessman who took her to his dentist and got her infected tooth removed and no payment was taken, as she was participating in the London Sydney marathon. 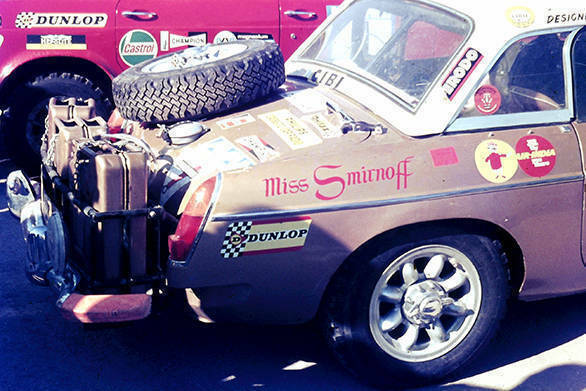 Not much is known of what happened to the MGB after the 1968 event. 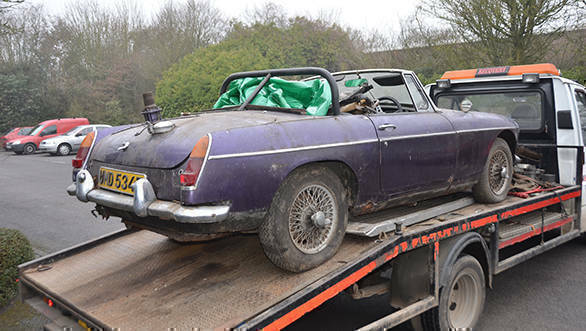 Around 2015, the MG Car Club's MGB Register found and rescued this works-backed Jean Denton MGB from a scrapyard in Southampton, England. 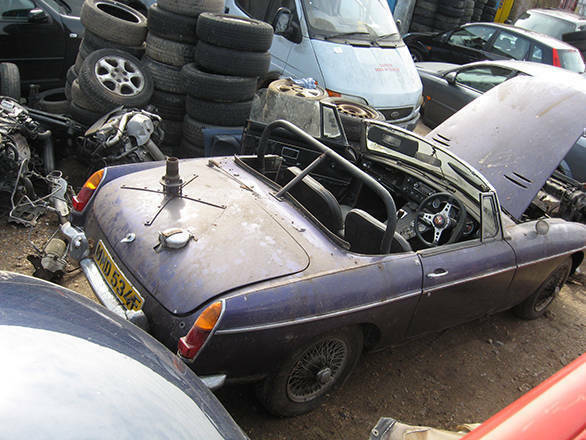 It had been painted purple and looked like a regular MGB apart from the bracket for the additional spare wheel on the boot, a roll bar, some badges, the Halda Meter, extra filler for the additional fuel tank, etc. The MGB Register decided this car was a valuable part of Britain's motorsport heritage and it needed to be restored and preserved. They asked their members and other auto enthusiasts for support and collected donations to fund the restoration of the MGB. All those who contributed an amount of over 25 pounds have their names displayed under the boot or bonnet. 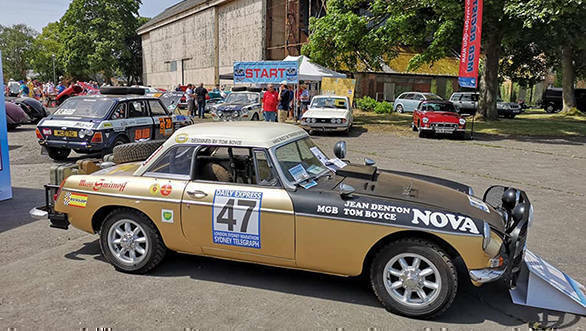 A team of experts restored the MGB to its period works condition, with support from British Motor Heritage, and Bicester College's Motorsport students, who are part of the Federation of British Historic Vehicle Clubs' apprenticeship scheme. 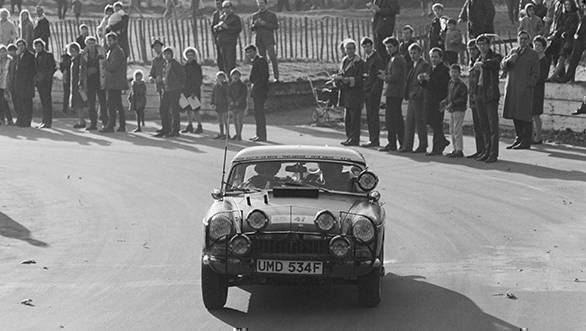 Interestingly, during the 1968 event, the MGB had bust a radiator and the MG Club Australia Members who were providing backup to Jean, replaced it with one pulled out from one of their members cars! So this MGB has always enjoyed the support of club members. 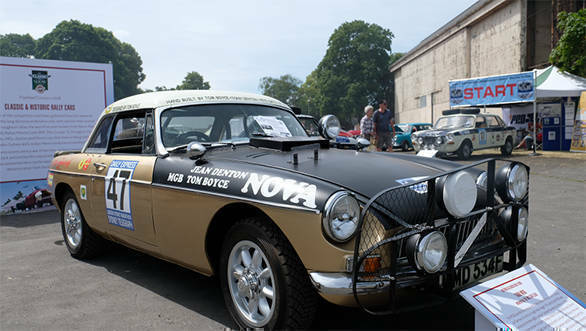 The fully restored black and gold MGB with competition no 47, was displayed at the MG Car Club's annual show MG Live and attracted a lot of attention. Enthusiasts and common folk alike were happy to see it, and this really makes me hope and pray that we are able to do something similar to Dr. Bomsi Wadia's Lotus Cortina, featured in his story.